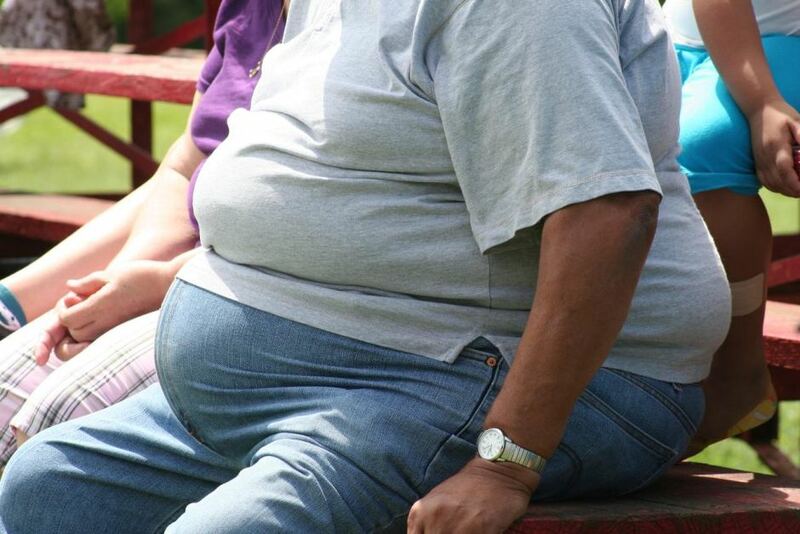 Home » Healthcare » Over 60% Of Adults Are Obese, But What Does This Mean For Your Health? Over 60% Of Adults Are Obese, But What Does This Mean For Your Health? Over half of adults are now classified as obese. That is the shocking truth of the current situation in the Western world. In recent years, we have been spoilt by fast food and office jobs, and now we have gained more weight than any of us expected. You may think that you are a normal size, but many of us don’t even know that we are obese. Denial is a common side effect of people gaining weight. You pretend even to yourself that you are not getting bigger. Even when your clothes become tight, and you feel yourself become heavier, you ignore the signs. Ignorance is better than having to face up to the reality of being overweight, even though it could shorten your life a great deal. Worse still, within our society it easy to ignore weight gain. So many other people are overweight and obese that it can be hard to notice when you become unhealthy. If you are comparing your weight to those around you then you will likely view yourself as normal, when your weight gain is not. So, what side effects does obesity have on the body? It is not healthy, we know that much; but how unhealthy is it? Here are some of the major health risks caused by obesity. Type 2 diabetes is the form of the illness which you can cause yourself to have due to your lifestyle. This fact means that if you become obese you are more likely to suffer from this type of diabetes. Type 2 is the most common type of diabetes and so the one with which you will most likely suffer. The common link between obese people and diabetes is, of course, what they eat. People who have let themselves become obese tend to have poor, unhealthy diets. Eating things which are high in saturated fats and sugar could lead to you becoming diabetic. Ready meals and processed food are the worst culprits when it comes to dishes, which contain a lot of unhealthy saturated fat. You should try and steer clear of these food types and opt for home cooked meals, which are far healthier. Symptoms of this form of the illness often include feeling tired and thirsty, as well as needing to use the toilet more than is usual. If you think, you might have diabetes you should consult with your doctor who will be able to tell you about the best course of action. The bigger you become, the more strain you put on your heart. It is as simple as that. Fat clogs up your arteries and veins when you put on weight, which leads to coronary heart disease. The disease can result in a heart attack, which is a common cause of death in adults both young and old. If you are currently obese, then you need to begin to make an effort to lose weight. Weight loss and exercise are a difficult feat, especially if you lack in motivation. Knowing that your weight could lead to a heart attack should be motivation enough though. You should also ensure that you get a regular health assessment, which will reassure you about the current state of your body. Taking the time to check up on your health is a vital part of the process of becoming more healthy and avoiding complications of the heart. Although the cause of cancer is currently unknown, research suggests that obesity may be the cause. There is the suggestion of a strong link between a variety of cancers and obese people. Both breast cancer and bowel cancer might be due to obesity in adults. Whether this is true or not, it is not worth taking a chance by remaining obese. Cancer is common in older adults, but recently there has been a trend of younger adults getting cancer. The trend may due to young people having poor diets and gaining weight at an early age. Though there is no strong evidence to confirm this, the trend does seem odd. One shocking fact is that obese people tend to suffer from depression more than people who are a normal, healthy weight. The depression may be due to many factors. In particular, it may be that people who are obese suffer from low self-esteem due to their appearance. Low self-esteem can lead to depression as the individual focuses too much attention upon how they look to others. This attention leads to the person concluding that others dislike the way they look. This conclusion makes the person feel down or depressed. Depression can be dangerous. In extreme cases of depression, this can lead to a person committing suicide. There are many ways of coping with depression, but it is best to tackle the cause of the problem, which is your weight issues. A stroke happens when your organs do not get enough oxygen. When you clog up your arteries with fat, which we mentioned earlier, you prevent the blood flow within your body. The lack of blood flow may mean that the oxygen your organs get stops. Without the oxygen, your organs go into shock and begin to shut down. A stroke is a serious medical problem and can lead to death. Being obese can cause a stroke because the body cannot cope with the amount of fat inside it. This fat blocks veins and can lead to blood clots. When you have a blood clot, it can be fatal. Without blood flow, your body cannot function well. When a blood clot occurs, it cuts off the blood flow and the oxygen from your organs. It is easy to see the signs of a stroke. A person who is having a stroke will exhibit easy to recognise signs. Their face will drop on one side, and their speech will become slurred. They may also not be able to lift their arms. If you see this call a doctor. If you are obese, a stroke is more likely than if you are a normal weight. That is why you need to focus on maintaining a healthy weight. Begin today by taking positive steps to improve your health.